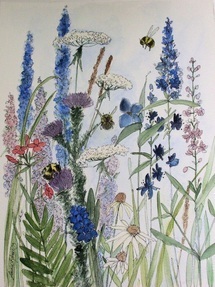 SOLD Garden Nature Art Watercolor Painting Botanical Wildflowers by Laurie Rohner. 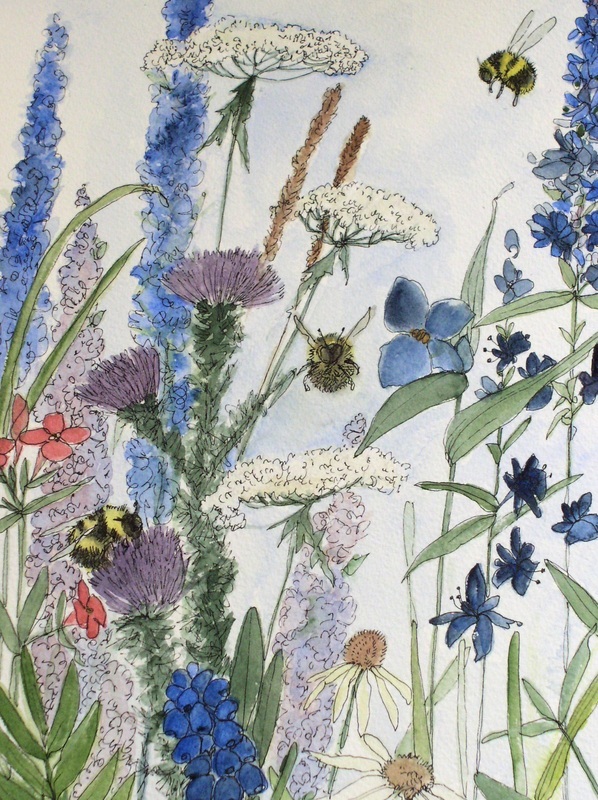 Watercolor nature art painting, botanical garden wildflowers and bees buzzing among the flowers is a detailed original garden botanical wildflower painting by Laurie Rohner. Get a fun whimsical feeling with my artwork? 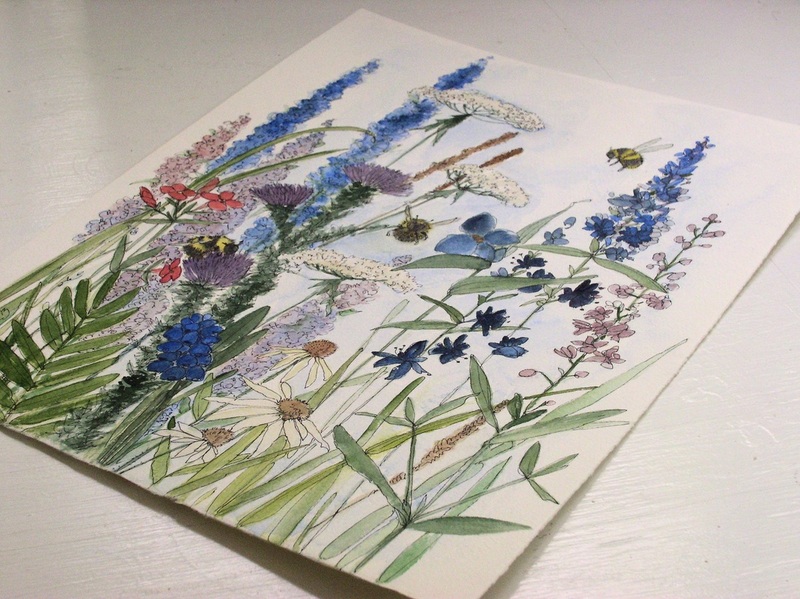 I love the happy little smile on my face when I look at my illustration of wildflowers and garden flowers with a few bees in watercolor and pen. There is a blush of blue sky hinting at a summer's day. It is cheery and guarantees a better mood. These are flowers from my gardens in Vermont. 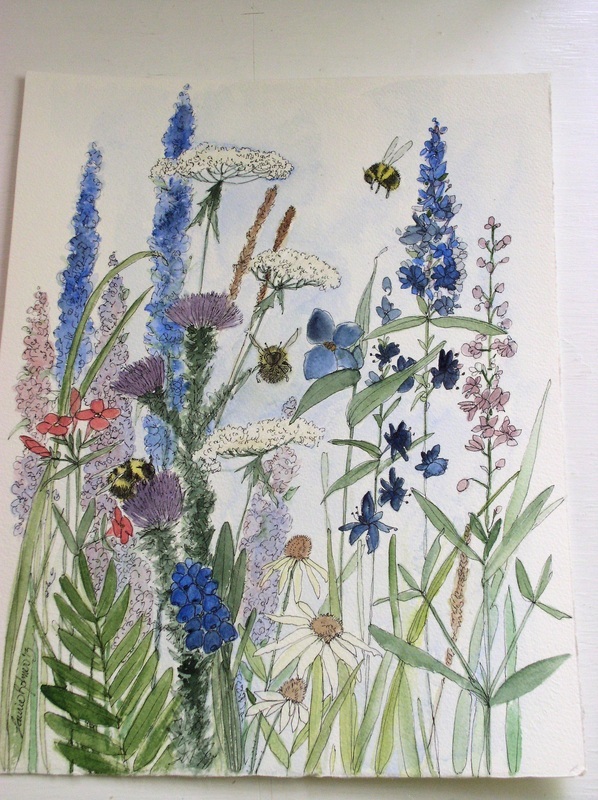 Very whimsical woodland garden botanical artwork for any style of home but can't you see it framed in a shabby chic frame on a farmhouse wall? Paper size is 14" x 11" and comes to you wrapped carefully in a priority mailer. Order one today if you like this painting, it will vary slightly.